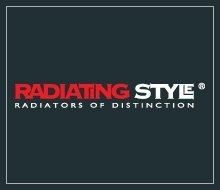 Radiating Style is one of the best companies that offer quality radiating products in United Kingdom. We have thousand of designed accessories for your business as well as home. For more details visit our showroom or website! Our product spectrum is vast, ranging from the conventional and traditional styles through to our designer radiators which are modern masterpieces! We are always thinking ahead in terms of both design and functionality which is reflected in our product offering. We are proud to say that the majority of our designs are exclusive to us and our product portfolio offers maximum variety, both in size and colour including a selection of distinctive metallic shades. Originality is paramount. We ensure that our designs are full of imagination and always practical, providing high thermal efficiency whilst allowing plenty of scope for customization. We offer outstanding quality and expert advice and a comprehensive aftercare service.